Property in the education sector is a specialist product requiring skills and understanding to meet the needs of multiple stakeholders - the budget holder, the head and the staff and of course the students. We have skilled professional with many years experience in designing and refurbishing educational buildings at all levels. Call us today and we will assist you with your property requirements. 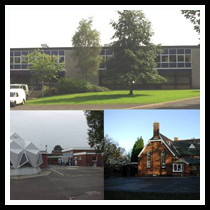 Five year Term Contract for Multi Disciplinary Services for phased refurbishment of their Sixth Form College Campus. Responsible for undertaking Full Condition Appraisal including a DDA Survey forming part of the Accommodation Strategy whilst also providing Quantity Surveying, Architectural, Building Surveying, Project Management CDM Co-ordination services. Cardinal Newman is a Sixth Form College, 10,000 sqft of accommodation on three main sites of varying ages / styles. One project within the Contract was the refurbishment of St James Vicarage. It included the refurbishment of a Grade II listed former vicarage and construction of a new build two storey extension to rear to form a new Arts Studio. Other projects within the term contract are as follows:- DDA Reports, Feasibility Reports including budget costings, Various alteration / refurbishment works to classrooms, Window renewal, Reroofing contracts, Disabled access upgrading work, Library refurbishment / alteration, Drama studio refurbishment, Dining room extension / redevelopment and Extension to accomodate access lifts. Partnering-type agreement with Local Councils Building Surveyors department, to enable the undertaking of building works to approximately 28 No school buildings on their behalf. 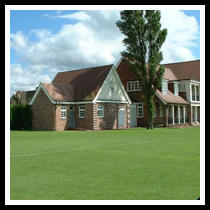 'Impressive and tasteful extension which has provided much needed extra changing facilities. The external decoration and lines of the extension blend in perfectly with the existing building which is full of character and a valuable asset to the University'.